The game limits the amount of loot players can collect while out on a Freeplay or Stronghold mission to 50 items. 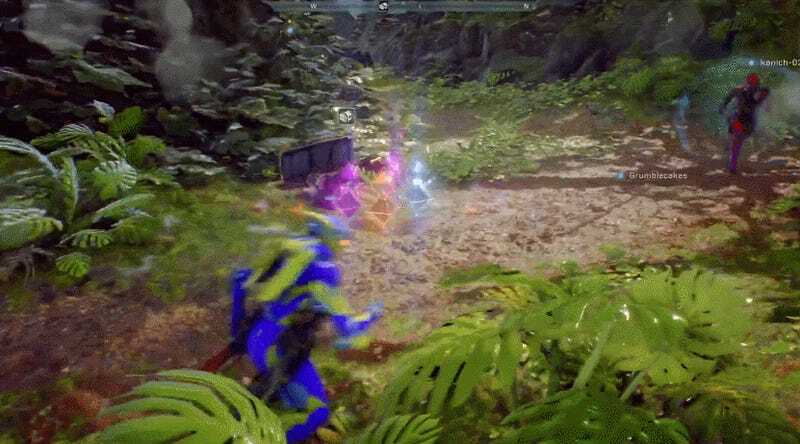 Once you’re capped, you won’t be able to pick up new stuff—and you won’t be able to drop any of those items you’ve already snagged until you go back to the Forge and see what they are. For high level players searching for only the rarest stuff, it’s important to keep those slots open in case that Legendary they’ve been desperate to find turns out to be the 51st item. 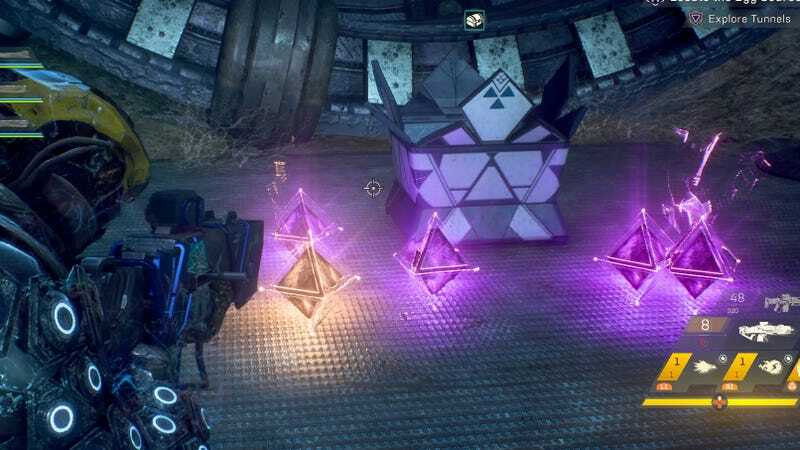 As a result, it’s not uncommon to see players trying to weave between piles of loot in order to only pick up the stuff that’s actually worthwhile, which are indicated on the ground as orange pyramids rather than purple or blue ones. 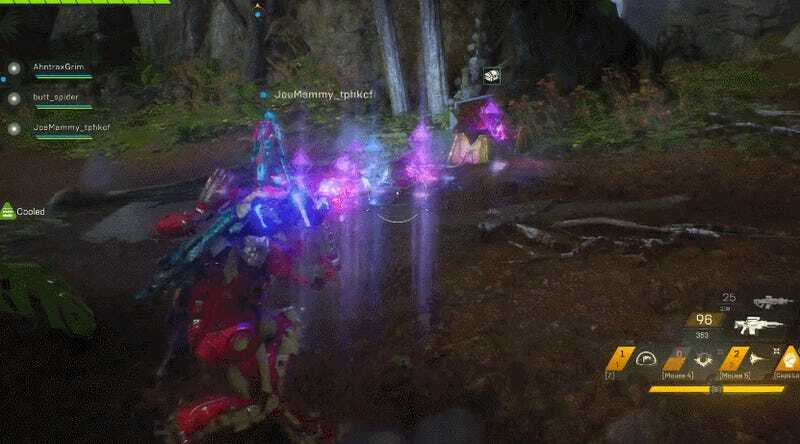 The new loot ritual is a testament to how a game’s systems can interact in complex ways to produce unexpected results. While less rare gear can be broken down into the ingredients required to craft Sigils, consumables that give players special buffs for the duration of a mission, it doesn’t take long to stock up on those resources. The game’s 250 slot vault, meanwhile, fills up quickly since players are encouraged to shift between different Javelins builds, each of which has dozens of unique Masterwork items associated with it. Players don’t have the time or patience to mess around with lower-power stuff.